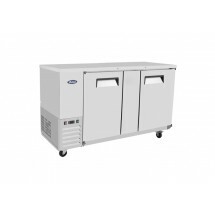 Atosa MBB69 Stainless Steel Back Bar Cooler, 69"
TigerChef > Browse by Store Type > Bar Supplies > Bar Equipment >< Back Bar Coolers > Atosa MBB69 Stainless Steel Back Bar Cooler, 69"
$2,933.01 Beverage Air BB68G-1-B 2 Section Glass Door Back Bar Refrigerator 69"
$3,406.93 Beverage Air BB68G-1-S Stainless Steel 2-Section Glass Door Back Bar Refrigerator 69"
$2,275.81 Turbo Air TBB-3SB-N6 2 Section Solid Door Black Back Bar Refrigerator 69"
$2,492.72 Turbo Air TBB-3SG-N 2-Section Glass Door Black Back Bar Refrigerator 69"
$3,451.99 True TBB-3G-S-LD Stainless Steel 2 Section Glass Doors Back Bar Refrigerator with LED Lighting 69"
$3,206.99 True TBB-3-S Stainless Steel 2 Section Back Bar Refrigerator 69"
$2,971.99 True TBB-3G-LD Black 2-Section Glass Doors Black Back Bar Refrigerator with LED Lighting 69"
$2,675.99 True TBB-3 Black 2-Section Solid Doors Back Bar Refrigerator 69"
$1,943.00 Atosa MBC95 Back Bar Bottle Cooler, 95"
The Atosa MBB69 Stainless Steel Back Bar Cooler, 69" is an excellent addition to restaurants, catering companies and other food service facilities. Made with a stainless steel interior and exterior, this bar cooler boasts a modern look that will withstand years of use. 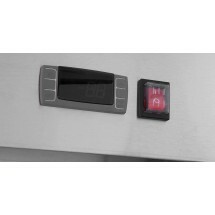 Designed with 2 recessed handled doors which automatically close with the help of flexible magnetic door gaskets, this bar cooler saves energy. Thanks to its heavy duty Embraco compressor, this bar cooler offers reliable cooling capability while its Dixell digital temperature control system efficiently manages the water temperature. 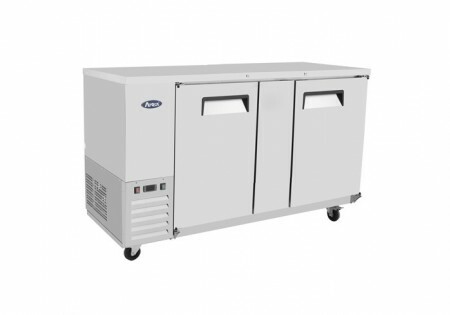 To make it easy to organize your stored drinks and other chilled merchandise, this bar cooler comes with pre-installed epoxy coated shelves.